Chinese studio Neri&Hu has designed a lighting collection for Artemide that recalls the shapes of birds poised on wires and branches. The Yanzi range – which launched at the Euroluce lighting fair during Milan design week – features pendants as well as floor and table lamps. Made using slender rods of steel, the pendant lights resemble overhead electrical wires, with abstract versions of birds created using bodies of brushed brass, and a globe-shaped light bulb for a head. Available in several versions, the pendants feature either solitary lights or multiple "birds" lined up together. Hoop-shaped details recall perches, while a glass dome references the shape of a classic bird cage. Neri&Hu's table lamps are even more stripped-back, resting only on small metal rods and resembling a bird about to take flight. The floor lamps feature similar graphic lines to the pendants. "Our light proposal pays homage to both the urban and the natural, the rigid and the organic," said the studio, which has completed several projects in its home of Shanghai. It recently used stone and fluted bronze details to revive the interiors of a 1930s theatre in the city. The studio – which ranked within the top 100 on Dezeen Hot List – was founded by Chinese-born, Harvard-educated couple Lyndon Neri and Rossana Hu in 2004. The duo have previously applied their minimal but playful approach to products like a coat stand for Offecct and Shaker-style furniture for Spanish brand De La Espada. 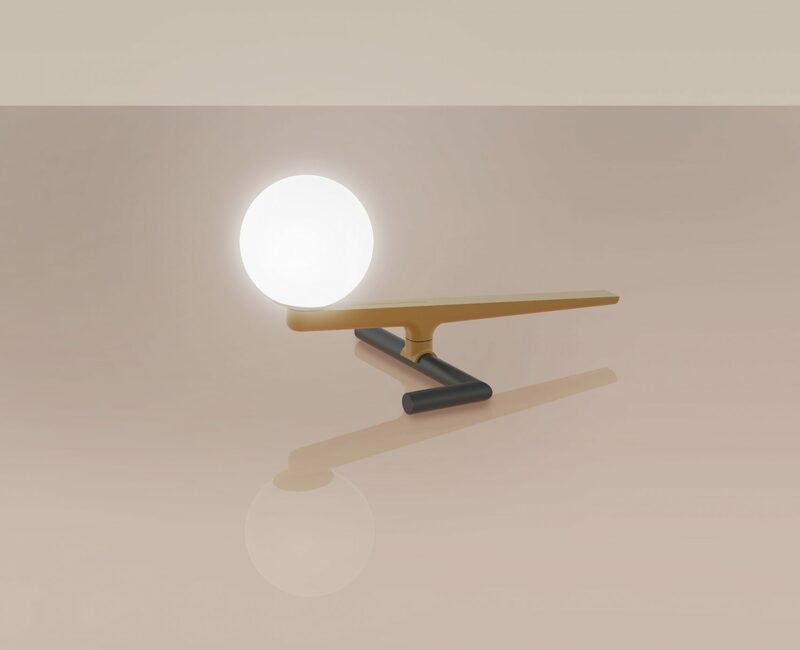 The fair saw the launch of several new lighting collections, including a lamp created by Formafantasma that turns the power cable into a sculptural design feature, and a pendant by Bocci made from opalescent stretched glass.